If you are a Seattle homeowner currently experiencing an unresolved pest issue, Adept Pest Solutions would be happy to come out to your home and provide you with a free "no obligation" written estimate for abatement including recommendations for prevention. If you are not currently experiencing a pest problem, but would like us to perform a Preventative Integrated Pest Management Evaluation of your home and property, we would be happy to do this for a nominal fee. These are just a few of the pests we can help you control. The technicians at Adept Pest Solutions will start by conducting a thorough inspection of your property to identify those conditions which are conducive to carpenter ant infestations, such as leaks, decaying wood and soil to wood contact. We'll make every effort to location and treat existing carpenter ant colonies nesting within the structure of your home. Every effort is made to determine if your home specifically contains a carpenter ant nest or if the ant sightings are occasional, this might mean the activity is originating from outside the home. In this case, treatment may not be necessary. Our carpenter ant treatment also includes an exterior perimeter inspection of your property to locate and treat carpenter ants nesting sites outside your homes, in trees, woodpiles or outbuilding. Each case is different so we customize each treatment plan so that it best fits the construction of your home. In addition, your treatment plan will be developed using environmental, biological, mechanical and chemical methods, taking into account the efficiency, cost and safety of your home, family and the environment. 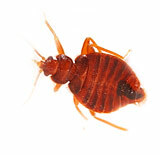 Bed bugs are a challenging pest to control. They hide in tiny places, so inspections and treatments must be thorough. 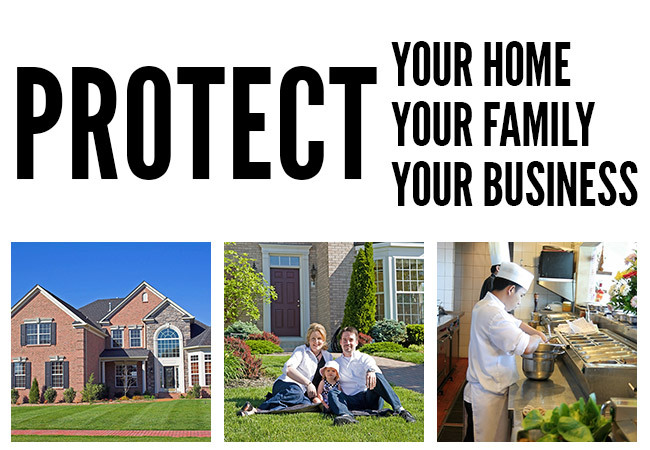 In most cases, it's necessary to enlist the services of a professional pest control company. At Adept Pest Solutions we know where to look for bed bugs and have an assortment of management tools at our disposal. We encourage owners and occupants to assist in the treatment by following our Bed Bug Treatment Preparation Brochure and affording access for follow up inspection and treatments as needed. Control of bed bugs is best achieved by following an integrated pest management (IPM) approach that involves multiple tactics, such as preventive measures, sanitation, and chemical applications to targeted sites. All homes or residences are unique and require a tailored treatment schedule; however we typically recommend 3 treatments be carried out to a bed bug infested property to make the treatment most effective. Bed bugs can hide in extremely small cracks making it difficult to locate breeding sites. Bed bugs are rarely seen in daylight and emerge from hiding at night. Bed bugs can travel long distances and survive in suitcases, clothing and vehicles (planes and cruise ships). Bed bug females lay about 500 eggs in a life time and eggs hatch in 10 days. When wasp nests are located in or near the home, they are a nuisance, and at times, a serious threat as there is always the danger of anaphylactic shock from their venom. By mid-summer, most nests are too large and difficult to approach, especially in attics, crawlspaces, within the walls of a house or even in the ground. 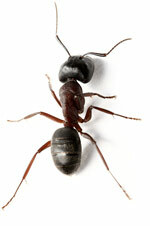 The safest procedure is to hire a pest control professional to eliminate the colony. 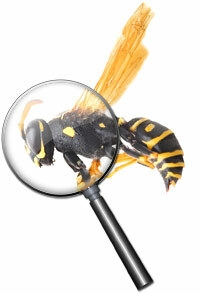 Adept Pest Control Solutions guarantees all wasp treatments. It's difficult and impractical to eliminate all spiders from you home and since they are beneficial, you wouldn't want that. With this in mind, we've developed a treatment plan that reduces spiders to a tolerable level. The exterior spider service includes the brushing of excessive spider webbing away from the siding, eaves, and window frames of the house and treating those areas with a bio-degradable product that eliminates webbing and discourages further web building. Our customized treatment plan will take into account the cleanup and organization of stored materials (especially in the garage and basement) and includes a crack & crevice treatment, along with periodic monitoring, to maintain control. Further recommendations may include removing excess debris and wood piles away from the exterior of the house, frequent lawn mowing and pruning trees and shrubs near the home. The goal of any flea control program is to eliminate the adult and immature fleas inside and outside the home as well as on your pets. The best approach is to combine environmental, biological, mechanical and chemical methods of treatment. Before we treat your home, there are a few things you need to do. The best place to begin is by getting your pets treated and placed on a preventive flea program. Next, all carpeted areas must be thoroughly vacuumed with a power head vacuum cleaner, especially around pet bedding and pet sleeping areas. The vacuum bag must be disposed of immediately to prevent a re-infestation of fleas in the home. Afterwards, all pet bedding and family bedding should be washed, preferably using warm to hot water. Now you're ready to call Adept Pest Solutions. We'll treat your carpeted areas and baseboards to kill the adult fleas and subsequently apply an insect growth regulator to prevent the flea larvae from developing into adults. In addition, we'll treat the outside perimeter of your home for flea prevention. Prior to the exterior treatment, it's important to clear away all dead vegetation at pet resting sites. Adept Pest uses EcoSMART products to kill adult fleas. These products are eco-friendly and composed of organic biodegradable compounds to help maintain a healthy environment. Insect growth regulators (IGR's) are used to break the life cycle of the flea by inhibiting its maturation. Don't worry-these do not affect people or pets as they are insect specific. When used together, EcoSMART and IGR's improve the effectiveness of the flea treatment. Download our Flea Brochure to get the pre-treatment checklist before the scheduled flea treatment. "Treated a yellow jacket nest in my wall. Timely - spot on, he seemed to have done this a hundred times. Saved me a whole lot of anguish and compared to other competitors, a lot of cash."